Best Way to Enjoy Yogyakarta With Your Fam! Ready for the best things to do in Yogyakarta? Yogyakarta has known for so long as one of the famous tourism destinations in Indonesia. The reasons why people choose Yogyakarta as their destination because Yogyakarta offers you various types of destinations, moreover, Yogyakarta is one of the friendly cities in Indonesia. So, if you are thinking of bringing your big family for a holiday trip, then Yogyakarta may be your best choice. If you don’t know much about tourism destination for your family in Yogyakarta, here are 7 things to do in Yogyakarta. Enjoying Sunrise at Borobudur Temple. Borobudur has known as one of the oldest, most famous, and most beautiful temples in Indonesia, and the largest temples in the world. This Buddhist temple was built in the 9th century during the Sailendra Dynasty. This temple location is nearby Muntilan City, Magelang Regency, Central Java. 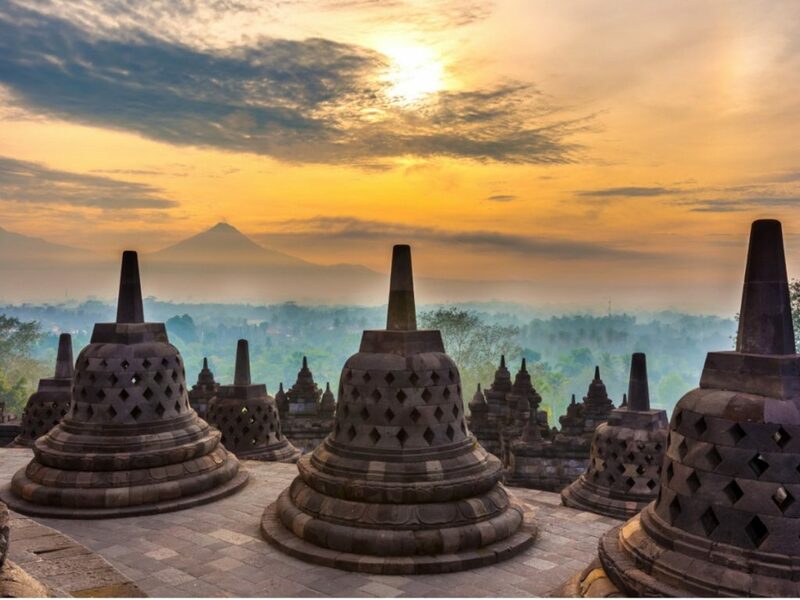 Borobudur has become the most famous historical place in Yogyakarta, and even in the world. You can come to this temple at dawn, so you can feel the fresh air before you enjoy the sunrise. You can explore this wide area of the temple to get the best view of the sunrise with your family. Private Yogyakarta Borobudur Temple Sunrise Trip is your best choice when visiting Borobudur Temple. The beauty of the temple’s sculptures and reliefs harmonized with the mesmerizing vista of the sunrise are the perfect combination to start your morning and to energize your day for exploring Yogyakarta City. Enjoying Sunset at Prambanan Temple. 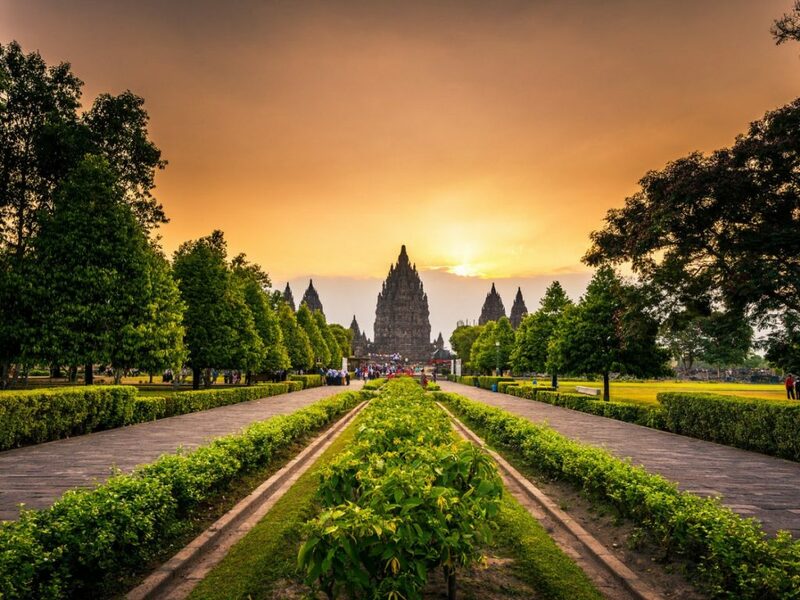 After enjoying the Private Yogyakarta Borobudur Temple Sunrise Trip before, so Prambanan Golden Sunset Tour would be the best choice to complete your previous trip. The location of Prambanan Temple is in the northeast of Yogyakarta City, Province of Yogyakarta. This Hindu Temple was built by Sri Maharaja Rakai Pitakan in the 9th century. This temple consists of 240 different statues with different sizes. If Borobudur Temple is the best way to start your day, so witnessing the sunset in Prambanan is the best way to end your day with your family. The combination of wonderful golden sunset and relaxing afternoon ambiance will never go wrong. Don’t forget to capture the moment together with your family before the end of the day. Exploring Merapi Mountain by Jeep. 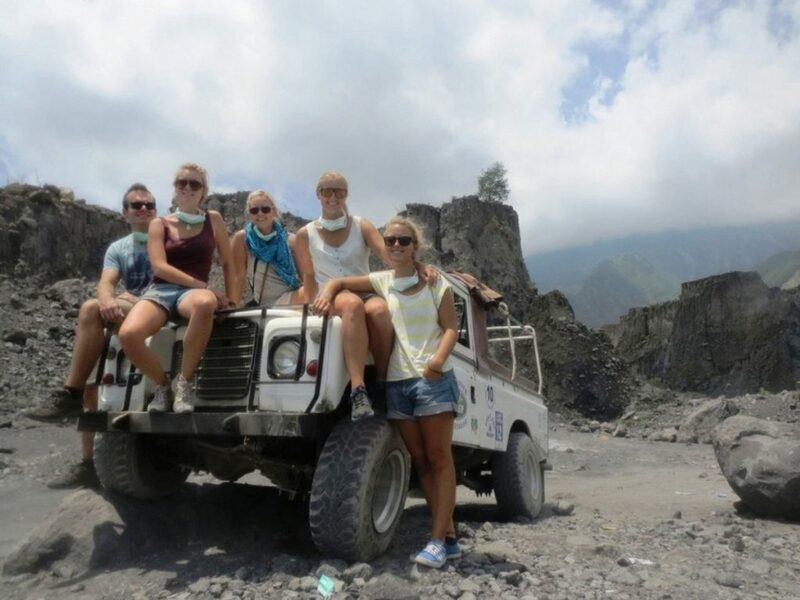 If you want to try something extreme with your family, so Private Yogyakarta Merapi Volcano Jeep Tour would be the best choices. The tour will bring you around the challenging area of Merapi Mountain. You can rent a Jeep car complete with its professional driver, so you just have to sit tight in your seat with your family while the driver will turn your adrenaline upside down along the extreme trek. You also can take pictures in beautiful places along the trek. Isn’t it a good way to spend your day? If you are wondering if Yogyakarta only consists of natural and historical destination, then you are wrong. If you are also wondering if there any destination that will benefit your kids, then the answer is yes. Taman Pintar is one of the modern tourism destinations in Yogyakarta. Taman Pintar located in the downtown of Yogyakarta City, Province of Yogyakarta. Taman Pintar can be one of your lists while visiting Yogyakarta. 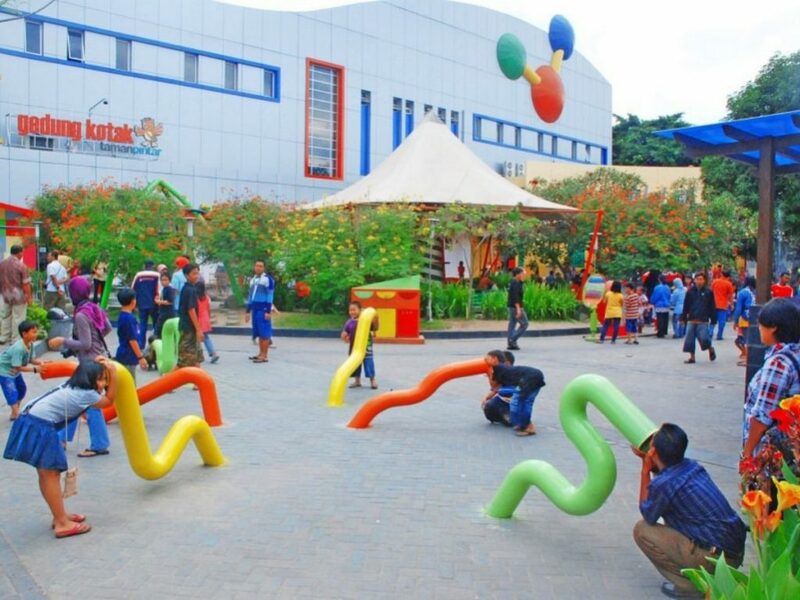 This place has lots of activities that are suitable for your kids. Taman Pintar consists of so many attractions which are good for your kids. Taman Pintar divided into 5 zones, Playground, heritage building, oval building, square building, and planetarium. You can explore in each zone with your kids, while they will learn new things from those different zones. Having fun at Jogja Bay. 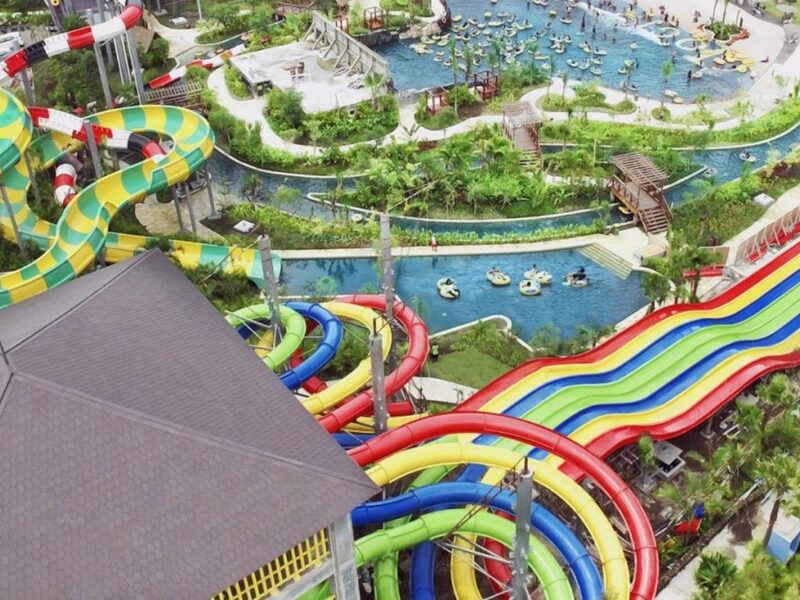 Jogja Bay is one of the biggest water parks in Indonesia and having a private concept. This water park consists of 19 different rides. If you are looking for a way to refresh your body after getting tired of exploring Yogyakarta City, visiting Jogja Bay may be the answer to your question. You can ride the some of the extreme rides here such as Memo Racer where you will slide in a high speed and compete with your family who is the faster. You can also try Bekti Adventure with your partner to slide in a snake-like slide. If you want to spend your time with your children you can try Donte Wild River, which will take you around the area. Besides the fun, the ticket in Jogja Bay is quite affordable for the family trip. Enjoying Your Meal in Pasar Kebon Empring. Where to eat in Yogyakarta? Many of you ask a good place to have your meal in Yogyakarta. 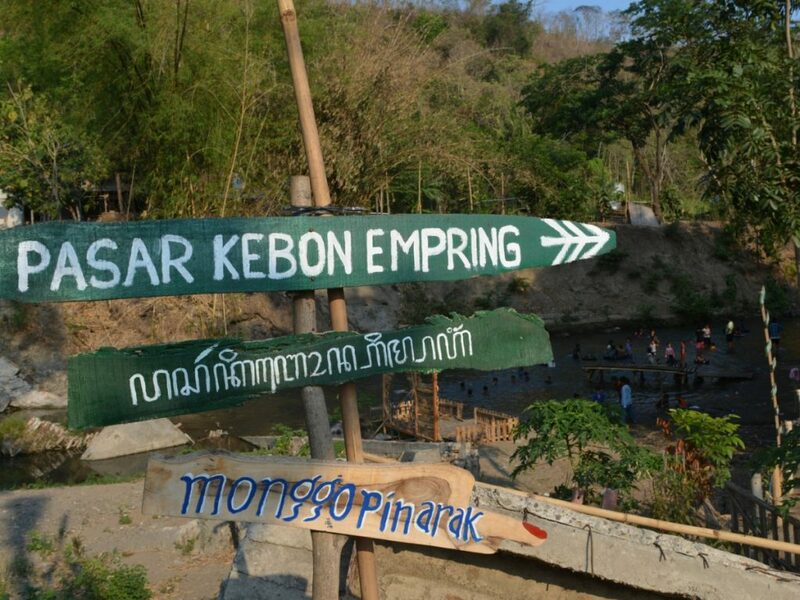 So, the answer can be Pasar Kebon Empring which located in Piyungan, Bantul Regency, and Province of Yogyakarta. This place has a natural concept because this place is surrounded by bamboo trees, which make this place also has a fresh ambiance.